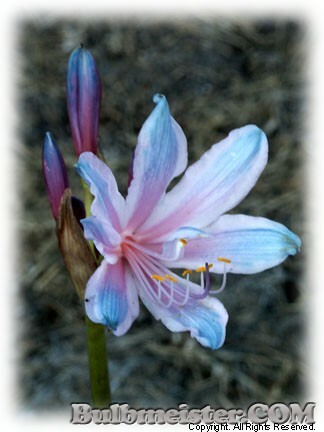 One of the spring foliage hardier Lycoris. A mid- to late-summer bloomer. These blooms are more trumpet shaped, pink with ink blue petal tips. Ht. 18-30 inches. Hardy in zones 5, 6, 7, 8, 9. Price Reduced, down from $14.95, 06/14/2017!